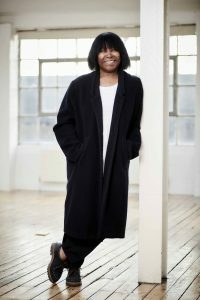 Joan Armatrading is a woman of candour – not to mention can do. She gets straight to the heart of the matter, and she delivers. Her lyrics, her distinctive voice and her multi-instrumental prowess have led to an enduring love and respect from millions across the world. Her words have an authenticity and her vocals an authority that resonate directly with the listener. On her new studio album ‘Not Too Far Away’, out on BMG on May 18th, she presents 10 new tracks that take the deeply personal and make it universal. It is Joan at her very best. A love album of intensity that gets better on every listen. From the Cri de Coeur of the opening song, ‘I Like It When We’re Together’, to the heartfelt ‘No More Pain’ where Joan jumps straight in with “This pain is my protection”, these are lyrics that don’t prevaricate, they tell it how it is. In that seemingly effortless way of all good writing, they touch the heart and mind of the recipient. There is the haunting and rather melancholic ‘Cover My Eyes’, the tough and complex ‘Invisible (Blue Light)’, the wistful ‘Not Too Far Away’ title track infused with longing, and the instantly memorable and anthemic ‘Any Place’. From ‘Always In My Dreams’ with its solo piano accompaniment to the jaunty ‘This Is Not That’ there is a glorious array of rhythms and tempos. ‘Not Too Far Away’ is Joan’s 21st album and, once again, she has written, sung, arranged and produced all the tracks as well as playing all the instruments except for drums which she programmed. It comprises the studio follow-up to the genre based trilogy, ‘This Charming Life’, the jazz orientated ‘Starlight’ and the blues based ‘Into The Blues’ which went straight to the top of the Billboard Blues Chart, making Joan the first British female artist ever to do so. Since her 1973 Outstanding New Artist award, Joan has been making superlative music for over four decades. Three times Grammy nominated, two times Brit nominated, winner of an Ivor Novello award and a BASCA Gold Badge, Radio 2’s Lifetime Achievement Folk Award and MMF’s Artist’s Artist Award, she has received accolade after accolade. The recipient of an MBE in 2001, she holds six Honorary degrees and her own BA (achieved while on tour) as well as being voted one of VH1’s Most Influential Women In Rock. The album will be supported by live dates in America in May and a major tour of the UK in September.